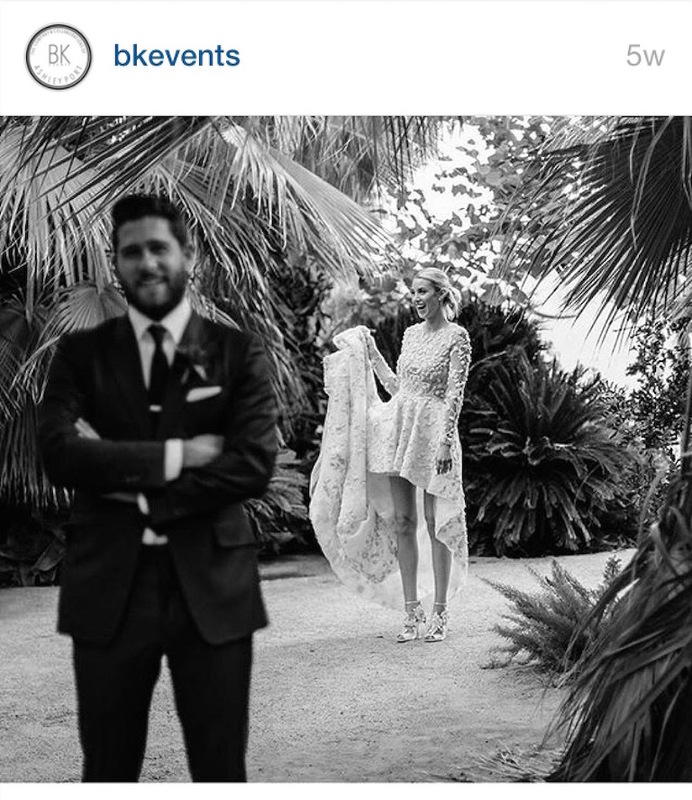 The year of celebrity weddings in 2015 certainly did not disappoint. From grandiose receptions filled with floor to ceiling floral arrangements to simple outdoor ceremonies, we felt that we were included on the guest list with the sneak peeks provided via Instagram by our favorite celebrity newlyweds. The wedding detail, decor and couture gowns have us excited to see what 2016 has in store for Hollywood’s biggest weddings. Topping our list of best celebrity weddings is a star-studded event held at The Breakers in Palm Beach, Florida. Sofia looked breathtaking in her custom gown, escorted down the aisle by her son. The lavish florals and gorgeous bride stole our heart. 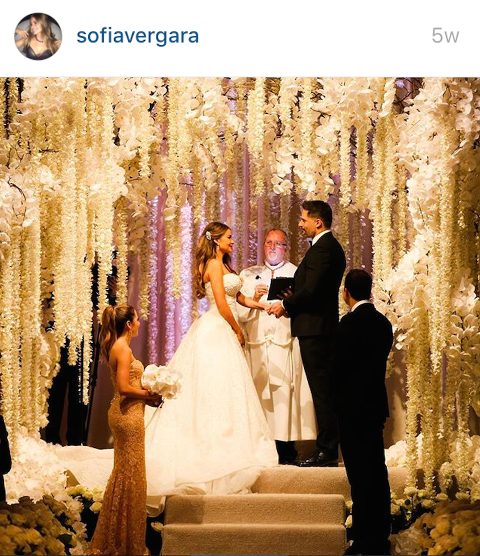 She gave us a behind the scenes look at the entire celebration via Instagram and with her wedding hashtag #Jofía. For more photos, head to PEOPLE magazine. A bride that isn’t afraid to wear an edgy, non-traditional gown catches our eye every time. The fashion designer and reality TV star designed her waterfall hemline gown. The sweet first look shared before the couple’s Palm Springs, California wedding ceremony captured the excitement of the beautiful bride. 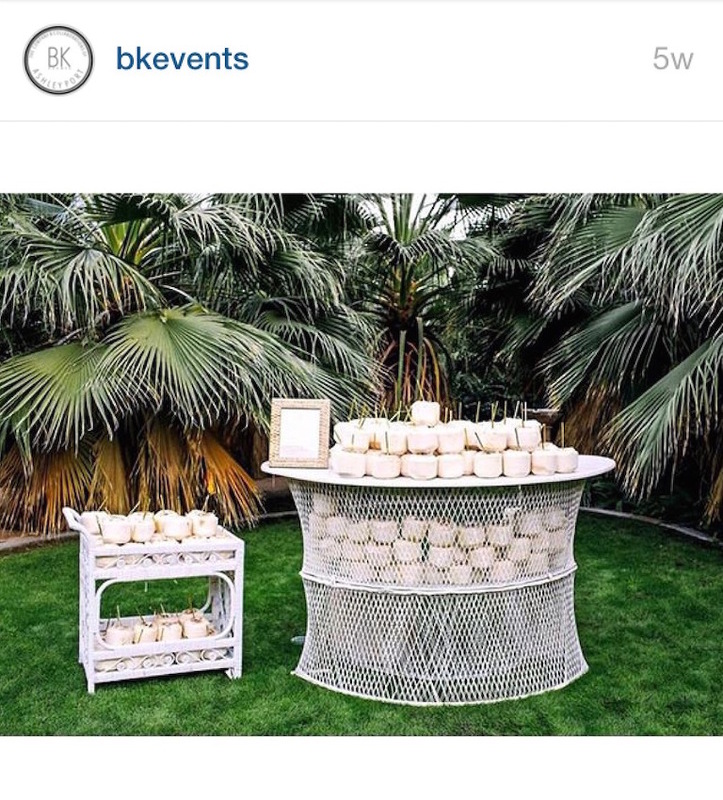 The tropical decor and event details were organized by Whitney’s sister, Ashley, of BK Events. For more photos, head to US magazine. The singer/songwriter is often the go-to musician for wedding first dance songs. This time he was the one serenading his bride during a sweet outdoor ceremony in his hometown of Mechanicsville, Virginia. The open air church and colors of fall were a favorite for us. 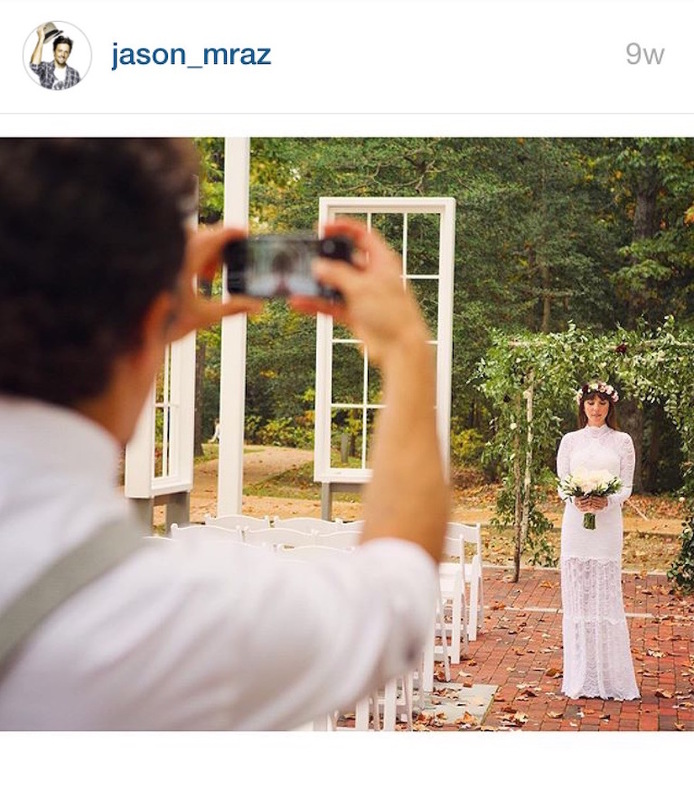 We love how he shared this intimate first look moment of his gorgeous bride. Almost every bride dreams of a fairytale wedding, and Nicky Hilton’s lavish Kensington Palace wedding was the ultimate princess wedding of the year. The hotel heiress tied the knot at the Orangery in Kensington Gardens at Kensington Palace wearing a dramatic Valentino couture wedding dress. We love how she stayed true to English chic attire and elegant colors of periwinkle blue for her bridesmaids. Rounding out our list of Hollywood “happily ever afters” is The Bachelorette alum and winner of the “final rose.” Desiree’s stunning ceremony held in California featured two different wedding dresses throughout the day and past Bachelorette cast members.